Somewhere on my 120 mile round trip commute to Boston, and back, I think for a several moments about doing it differently. The thoughts are usually most vibrant in Newton, along the turnpike, where the commuter rail is running from Worcester to South Station, and I am sitting in my car, heading east, not moving. This is the point in my drive where a mother pushing a stroller will arrive in Beacon Hill faster than me. Getting from home to work in the most efficient, fastest, and the safest way possible is paramount in commuting, but those are the personal reasons. The large, more global reason is being a responsible commuter, and limiting my carbon trail along I-90. A train would do that. A couple of years ago the idea was brought up to me about having a commuter rail station in Brookfield at the current car transportation hub off of Route 49. I thought that would be fantastic idea, but knowing what would be needed to even secure a study into the feasibility of such a plan, and not seeing that at the time, I sighed, "Someday", and moved on. Currently, there is a multi billion transportation bill before the legislature, H. 3860. 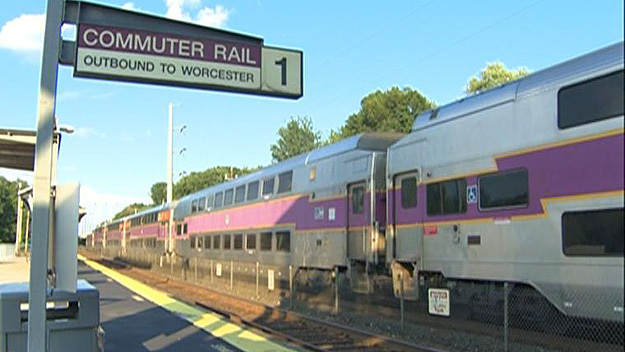 One of the many provisions in the bill is for a Springfield to Worcester rail service. Including a commuter rail station in Brookfield that would service the entire area should be part any planning, however this can only be accomplished by the area communities voicing their support, and voicing it loudly. Our board of selectmen as a body has yet to support the idea as a whole, however, individuals on the board have. Our town administrator has also supported the idea, as have many others in town. There is an very good article in the Sturbridge Times that will bring you up to date. The next step is to secure the massive area support needed for the idea. Formation of a regional committee to formulate a plan, publicize the idea, gather support, and disseminate information is essential in order to proceed. If you would like to have local train service access in Brookfield, then let your selectmen, and state representative know. Imagine boarding a train a few miles north, in Brookfield, as a commuter to Springfield, Worcester, or Boston, or a as a traveler to New York City, Cape Cod, or Montreal. Just having a train service amenity at our doorstep would improve life dramatically for everyone in the area. I thought it was a wonderful idea a couple of years ago, and like it even more today. What I don't like is loosing the commuting marathon to pedestrians, and I would really enjoy letting someone else do the driving for a change. 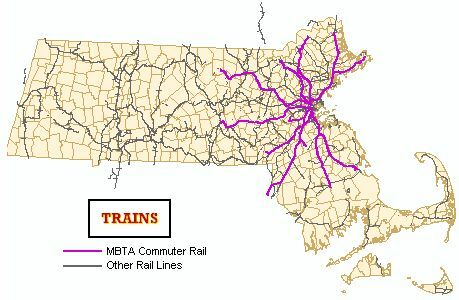 I am not sure how i feel about a commuter rail in our area. Are there enough people in our area to make it worth the investment? I can see the rail cars being pretty empty for the first few stops out this way. I travel the pike frequently during rush hour not heading to Boston as much as i used to thankfully. I suppose one way to see if it would work would be to build it. That would be an expensive venture, but something has got to give. There are going to be more people and the roads can only be so big. Maybe it will be a "build it and they will come". This a a HUGE opportunity that we should not miss ! Let's do what we need to do to build the momentum to bring this train stop to our area. Thank you for posting this Wally ! This will not cost us a nickle as its already in the State Budget. Otherwise your going to see communities like Wellesley/Newton, etc going to use this for expansion. I traveled a lot on the Trains from CT to NYC and to your surprise how many suburban people ride it. Even in this Worcester to Boston Line, the amount of people I swear is larger from the suburban areas than the cities. But please email your Selectman here is Sturbridge as they should be for it. Its not going to cost the residents zero as its in State 12 B budget. Mass Pike is just getting more congested just like 95 to NYC. We have the same situation they have in the corridor and those people travel on the trains. Funny thing is to go on Metro North Trains and you will see Investment Bankers, Lawyers, Doctors on the train to their office and jobs to NYC. Also lets not forget the Students who commute to our Colleges in the state. This is a improvement everyone can use and it will reduce the carbon footprint.